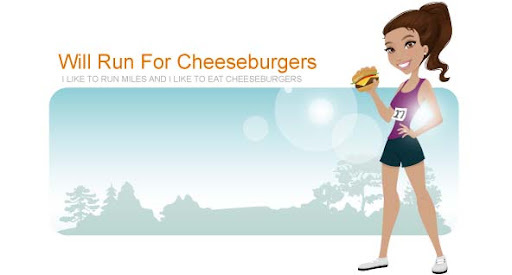 Will Run for Cheeseburgers: What's better than eating a cheeseburger? Wearing a tshirt with a cheeseburger on it. I'm obsessed with my latest Forever 21 sale item ... A cut off cheeseburger graphic tee. I just finished jogging 3 miles (1/4 mile walking) around the indoor track in about 27 minutes. Then I did 3 different shoulder exercises, 3 sets of 10 reps each, using a pair of 5 pound weights. Time to pick up the monster from daycare!